Applications to the Town Planning and Zoning Commission (TPZC) are submitted to the Planning Department and applications or appeals to the Zoning Board of Appeals (ZBA) are submitted to the Building Department. When an application involves activity regulated by the Flood Plain Management Ordinance, a floodplain development permit application must be submitted to the Engineering Department prior to any application to the Inland Wetlands and Watercourses Commission (IWWC), TPZC, or ZBA. When an application involves activity regulated by the IWWC, an application to the IWWC must be submitted to the Planning Department prior to or concurrent with any application to the TPZC, or ZBA. Applications must be submitted on forms obtained from the Planning, or Building Department for the respective type of application being submitted; they must be accompanied by the appropriate fee(s) as well as any supporting plans, materials, and other information required by the Zoning Regulations; and they must be signed by the applicant and the owner of the property, where applicable. TPZC applications and ZBA applications are also available online on each department’s website. The Planning or Building Department will review each application to determine whether the application is substantially complete and will not schedule any application for receipt or action by the TPZC or ZBA that does not contain sufficient information for their review. An application shall not be considered complete by the TPZC or ZBA until all of the information required by the Zoning Regulations has been received by the TPZC or ZBA at a scheduled meeting. 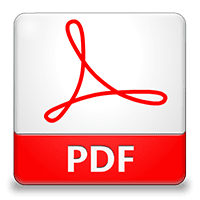 An incomplete application, including an application without the required fee, may be received by the TPZC or ZBA and denied for lack of information or completeness. To aid in determining clear ownership and any potential conflicts of interest with commissioners, any person or entity making an application must disclose all property owners, whether they be an individual, principal officer(s) of a corporation or limited liability corporation, general partner(s) of a partnership or limited liability partnership, or equitable owner(s) or beneficiary(ies) of property held in trust, which may be attached to the application if necessary. When a floodplain development permit is required to permit a proposed development, the TPZC may not approve any applications for development (e.g., site plan, special use) without an approved floodplain development permit. When a regulation amendment and/or a zone boundary change is required to permit a proposed development, the TPZC should not accept any applications for development (e.g., site plan, special use) without first acting favorably on the text amendment application(s) and/or zone boundary change application necessary to permit the proposed development activity. 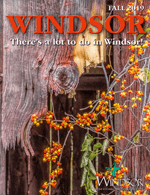 The Town of Windsor employs a comprehensive approach to the development review process, utilizing an interdisciplinary team of Windsor town officials called the Staff Development Team. The Staff Development Team’s primary responsibility is to comprehensively review all applications pending before the TPZC and the Inland Wetlands and Watercourses Commission (IWWC), providing information and advice to applicants as well as these commissions. The team consists of a core group of officials representing the Planning Department, Building Department, Economic and Community Development Department, Engineering Department, Fire Marshal’s Office, Health Department, and Town Manager’s Office; but may also include the Police Department, Public Works Department and Board of Education as needed. The Staff Development Team meets every Tuesday morning between 9:00am and Noon, with appointments generally lasting 15 to 30 minutes. Team members review application materials prior to the meeting and provide verbal and written feedback to applicants. When necessary, applicants will modify their applications to address identified regulatory deficiencies and other staff suggestions prior to review by the Inland Wetlands and Watercourses Commission (IWWC) and/or Town Planning and Zoning Commission (TPZC) This approach allows applicants to meet with all town officials involved in their project in one quick meeting, avoiding the hassle of tracking down each official or coordinating meeting times between busy officials. The Planning Department sends the written comments to the TPZC and they are also available for public inspection in the application files prior to TPZC meetings along with all other application materials. The Staff Development Team also meets informally with prospective applicants to help them better understand the regulatory environment and provide insight gained through decades of combined experience. This free service is strongly recommended to prospective applicants to help them develop better applications the first time around, avoiding costly changes and delays due to missing information or lack of knowledge of established policies and procedures. At times, a prospective applicant may ask that team members keep informal discussions confidential to avoid issues such as land speculation or revealing plans to their competitors. Team members will attempt to honor these requests but once an application is submitted, staff can speak freely. A professional engineer, licensed in the State of Connecticut, shall perform all drainage design, except that in order to prevent unnecessary hardship in connection with small alterations or expansions, the Town Engineer may determine that professional drainage design is not required. A licensed land surveyor shall survey all sites, except that in order to prevent unnecessary hardship in connection with small expansions or alterations, the Town Engineer and the Zoning Enforcement Officer (ZEO) may mutually agree that a site does not require surveying. Unless specifically waived by the Town Planning and Zoning Commission (TPZC), relevant design professionals shall seal all site plans and design development concept plans involving new buildings of more than one-story or more than 2,000 square feet. Unless specifically waived by the TPZC, a landscape architect shall design the landscaping for all site plans involving new construction in excess of 100,000 square feet of floor area and all design development detailed plans, regardless of floor area involved. The landscape architect shall monitor the installation and certify in writing that the landscaping is completed in accordance with the approved plans prior to the issuance of a Certificate of Occupancy, unless a performance bond for its completion is submitted. According to Connecticut General Statutes (CGS) Section 8-7d, the official date of receipt of an application to the TPZC or Zoning Board of Appeals (ZBA) is the day of the next regularly scheduled meeting immediately following the day of submission of the application to the Planning Department or Building Department, or 35 days after the day of submission, whichever is sooner. Upon receipt, the TPZC or ZBA must schedule a public hearing, if applicable, within the prescribed times described in CGS Section 8-7d. 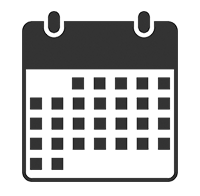 The ZBA may schedule a public hearing, where applicable, for the same night that the application is scheduled to be received, provided that the application is received in the Building Department at least 21 days prior to the date of the next regularly scheduled ZBA meeting. When an application is submitted to the TPZC during its summer hiatus at least 35 days prior to the September regular meeting, the Planning Department will schedule the application for public hearing at the September regular meeting. An application submitted less than 35 days but at least 30 days prior to the September regular meeting, may be scheduled for public hearing at the September regular meeting of with the concurrence of the Chair of the TPZC. On any application, the TPZC or ZBA may seek the advice of other town officials, boards, or commissions to assist them in evaluating applications; retain an architect, landscape architect, professional engineer, or other consultant to review, comment, and guide their deliberations on any application; and/or require that the applicant, to the extent authorized by the Town of Windsor Code of Ordinances: deposit funds with the TPZC or ZBA to cover the costs of any consulting review fees; or reimburse the TPZC or ZBA for the cost of such consulting review. In an effort to keep the planning and zoning process as open and inclusive as possible, the TPZC employs all mandatory and discretionary notice requirements required under CGS Section 8-7d.. When a public hearing is required by the Zoning Regulations or scheduled by the Town Planning and Zoning Commission (TPZC) or Zoning Board of Appeals (ZBA), the Planning Department or Building Department will publish a legal notice of the public hearing in The Hartford Courant or other newspaper having a substantial circulation in Windsor. According to CGS Section 8-7d, the legal notice must be published at least twice at intervals of not less than two days, the first not more than 15 days, nor less than ten days, and the last not less than two days before the date of the public hearing. No public hearing can be opened on any application or appeal unless the legal notice has been properly published. 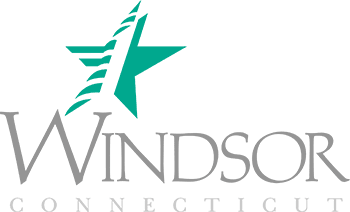 Windsor’s Zoning Regulations require a property that is the subject of a public hearing to be posted with a sign, clearly visible to the public, not less than 10 days before a hearing date. The Planning Department will provide a printed sign to the applicant in sufficient time to meet the notice-timing requirement. Citizens with smart phones enabled with a QR code reading application can scan the public hearing sign and be automatically linked to the Planning Department website to see the application form and a representative plan of the application, if one is available. Applications for zone boundary changes initiated by the TPZC are not required to comply with these requirements, as the affected areas could comprise numerous properties that may be scattered throughout town. No public hearing can be opened unless the required sign has been posted in accordance with these requirements. The applicant cannot be responsible for theft, vandalism, or weather damage to a sign but should make every effort to weatherproof the sign and/or replace the sign as soon as a problem is noted. The Zoning Regulations also require applicants to mail legal notices to property owners within 100 feet of the subject site (abutters) not less than ten days prior to a hearing. Public hearings are held on all applications for special uses, re-subdivisions, zone boundary changes, design developments, planned urban development concept plans, and non-conforming uses, as well as amendments to the Zoning and Subdivision Regulations and the Plan of Conservation and Development. The TPZC typically holds public hearings on subdivisions as a courtesy to abutters, but is not required to do so. The Planning Department will provide the applicant with a cover letter, the legal notice, and an abbreviated Citizen’s Guide to be copied and mailed to the abutters. Similarly, the Building Department will provide a cover letter and legal notice to the applicant to be copied and mailed to abutters. 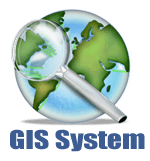 A list of abutters may be provided by the respective department or can be created online using the abutter’s list tool contained in the Assessor’s GIS. The applicant is responsible for obtaining proof of mailing in the form of U.S. Postal Service (USPS) Certificates of Mailing and submitting them at or before the public hearing. Proof of mailing should include individual Certificate(s) of Mailing; a list of the property owners sent notices, or alternatively, a list of the property owners certified by the USPS that they received letters for mailing to every address on the list; and a copy of the material sent to the property owners. Notices sent by Certified Mail – Return Receipt Requested are neither required nor advisable, as the applicant is not responsible for receipt of notice by the abutter: only mailing the notice within the required time. Applications for zone boundary changes initiated by the Town Planning and Zoning Commission (TPZC) do not require mailed notice to abutters within 100 feet of the area affected by the change, except that owners of property directly affected by the proposed change will be notified. No public hearing can be opened on any application or appeal unless the required notice has been mailed in accordance with these requirements. To remain informed of pending applications without regularly reading the Hartford Courant legal notices or visiting the Planning Department website, you may sign up for the TPZC’s Public Notice Registry here. The Planning Department will e-mail you or your organization legal notices and agendas as they become available. Various statutes, regulations, and ordinances require notifications to other town agencies. When an application involves activity regulated by the Flood Plain Management Ordinance, the TPZC or ZBA may not act on the application until it has received a report from the Town Engineer acting under her/his authority as the designated Local Floodplain Management Administrator and they shall consider any report from the Town Engineer in making their decisions. Similarly, when an application involves activity regulated by the Inland Wetlands and Watercourses Commission (IWWC), the TPZC or ZBA may not act on the application until it has received a report from the IWWC and considered their findings in making their decision. The TPZC must refer an application to the Capitol Region Council of Governments (CRCOG) for review and comment in accordance with CGS Section 8-3b when any portion of the land affected by a zoning regulation or boundary change affecting the use of a district is located within 500 feet of the boundary of another municipality. The referral can be e-mailed or sent by Certified Mail – Return Receipt Requested to CRCOG no later than 30 days before a public hearing and CRCOG may submit its report on the referral to the TPZC at or before the public hearing. The Secretary will read any report on the referral from the Capitol Region Council of Governments (CRCOG) into the record of the public hearing and the Town Planning and Zoning Commission (TPZC) will consider the findings in making its decision. Under the provisions of CGS Section 8-3b, the Commission can consider the failure of CRCOG to respond within 30 days of a referral as a favorable report. In accordance with CGS Section 8-7d(f), the TPZC or Zoning Board of Appeals (ZBA) must notify the clerk of an adjoining municipality of any application or appeal that involves property within 500 feet of the boundary of the adjoining municipality, a significant portion of the traffic to a completed project would use streets within the adjoining municipality to enter or exit the site, and/or a significant portion of the sewer or stormwater drainage from a completed project would flow through and significantly impact the stormwater drainage or sewer system within the adjoining municipality. Such notice will be made by the Building or Planning Department by Certified Mail – Return Receipt Requested within seven days of the day of the submission of the application or appeal. No public hearing may be opened unless the adjoining municipality has received this required notice. 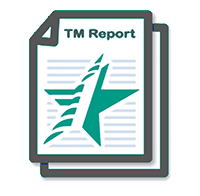 The adjoining municipality may provide a report and/or appear before the TPZC or ZBA at any public hearing on an application or appeal and the agency should consider any report or testimony from the adjoining municipality in making its decision. The Connecticut General Statutes require specific time limits for boards and commissions to process applications. Despite the perception that these time limits are for the benefit of the general public, presumably to prevent an applicant from unnecessarily delaying an application until public interest wanes; the legislative intent was actually to protect applicants from the abuses of boards and commissions that might unnecessarily delay receiving an application, opening or closing a public hearing, or making a decision on an application. CGS Section 8-7d specifies that complete applications are automatically received at the next regularly scheduled meeting of the board or commission after the day it is submitted the town, or after 35 days, whichever comes first. This ensures that the application is received and statutory periods for processing applications begin regardless of whether the commission has a meeting or formally acknowledges receipt of the application. Public hearings must open within 65 days after receipt of the application or appeal and must be closed within 35 days after the hearing is opened. The board or commission must make all decisions within 65 days after the close of a public hearing. Unless a site plan application is accompanied by another application such as a special use application or inland wetlands permit application that must be approved prior to site plan approval, the TPZC must make a decision within 65 days of receipt of a site plan application. If any application is accompanied by an inland wetlands permit application and the time period for a decision by the TPZC or ZBA would lapse prior to the thirty-fifth day after a decision by the Inland Wetlands and Watercourses Commission (IWWC), the time period for a decision by the TPZC or ZBA is extended to 35 days after the decision of the IWWC. These time frames do not apply to applications initiated by the TPZC, since the TPZC does not require statutory protection from themselves. Under CGS Section 8-7d, an applicant or their agent may consent to one or more extensions of any time period specified above, provided that the total time period, including any extensions, does not exceed twice the original time period specified. When the TPZC or Zoning Board of Appeals (ZBA) makes a decision, the Planning Department or Building Department will publish a legal notice of decision in The Hartford Courant or other newspaper having a substantial circulation in Windsor. The Building Department or Planning Department will mail a notice of a decision to the appellant or applicant by Certified Mail – Return Receipt Requested within 15 days of a decision and publish notice of a decision in The Hartford Courant or other newspaper of substantial circulation in Windsor within 15 days of the decision. If notice is not published within the 15-day period after a decision, the appellant or applicant may publish the notice within ten days thereafter. Unless specified by the Town Planning and Zoning Commission (TPZC) or ZBA at the time of a decision, the effective date of any decision shall be 15 days after the publication of the legal notice of decision, or in the case of an appeal, the day after the decision by the TPZC or ZBA is sustained by the courts. All text amendments and zone boundary changes must be filed in the Town Clerk’s Office and made available for public inspection, though more complete application files are available in the Planning Department. Appeals from TPZC or ZBA decisions must be made to superior court by an aggrieved party within 15 days from the date of publication of the legal notice of decision. The Zoning Enforcement Officer (ZEO) cannot substitute his/her judgment for a decision of the TPZC or ZBA, nor can a decision of the TPZC be appealed to the ZBA. While not required, an attorney well versed in land use law is strongly recommended when filing an appeal.